If you love wire wrapping, then this technique will be simple and fun! 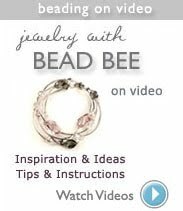 Create bold, multi-dimensional necklaces and bracelets by wire wrapping beaded "fringe" onto head pins or ball pins. The only materials you need are beads, head pins and/or ball pins, flexible beading wire, crimps, a clasp and the right tools. 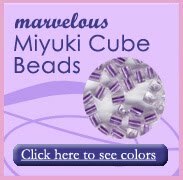 If you like chunky pieces, I recommend beads from 6-10mm. For more dainty pieces, stick with 3-6 mm sizes. Incorporate mixed shapes and colors to enhance the playful look. Our example features Czech glass fire polished beads, Czech glass dagger beads and miyuki cube beads. 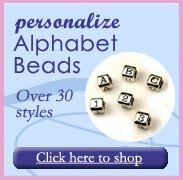 If you want something more elegant, stick with a single color in different sizes or create work with monochromatic mixes such as our Soft White designer bead mix which is perfect for bridal jewelry. Love this look? Click here for illustrated instructions.